Pilot & Instructor trianing Mon to Fri and Experience flights on Sat. If none of the days suit below for online bookings, please call us. From Nov to Feb we are not at the airfield every day. Please call before visiting to check we are open. 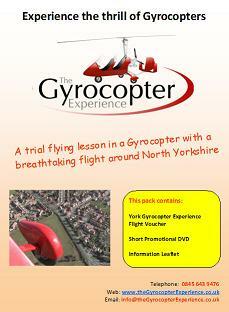 Fly around the stunning Yorkshire countryside in a Gyrocopter. 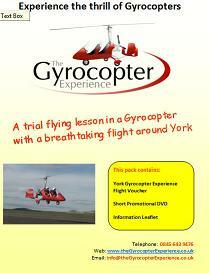 The Gyrocopter Experience York is a full time Gyrocopter Flying School based on the outskirts of the beautiful city of York, next to the village of Rufforth offering Introductory Flights, Pilot Training, Pilot Development Course and Instructor Training Courses. The school is normally open to the public six days a week (Monday to Saturday) and everyone is welcome to come and see the Gyrocopters and have a chat. As well as about 15 modern Gyrocopters, we also have a Gyrocopter Museum, a Gyrocopter Cinema, a Gyrocopter Simulator and a Gyrocopter Shop. All our Introductory Lessons and Experience Flights are usually flown on a Saturday, when the "Gyroport" becomes a hive of activity. If you are coming for a flight - bring as many friends and family as you want - everyone is welcome. Flights must be pre-booked to ensure we have the correct aircraft and instructors available. 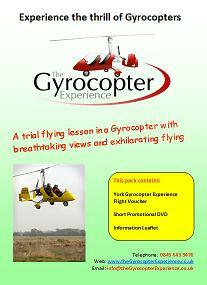 Gyrocopter Pilot Training is normally offered as intensive 5 day courses, Monday through Friday. Typically we have two students per instructor and up to three instructors working at one time. 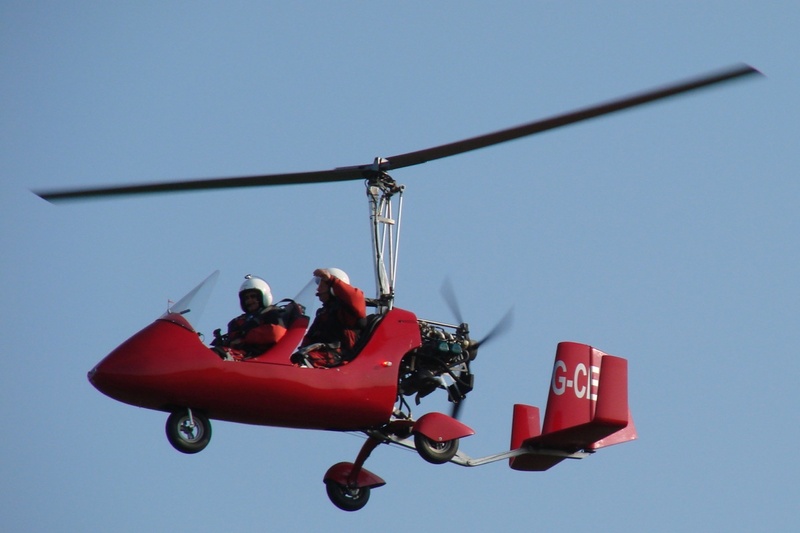 The Gyrocopter Instructor Academy, run by Senior Examiner Phil Harwood, is also based at York, where more than 60% of all the instructors training in the UK did their instructor training. The Gyrocopter Experience Head Office is also contained within the premises run by our boss, Kati. Our Introductory flights are really cool. We offer three different lengths of flight. What we do in that flight depends upon how much previous experience you have at flying. The majority of our introductory flights take place on a Saturday. This is our most popular flight. It starts with a tour of our museum and showroom, you can bring all your family and friends along (free of charge!). There will be up to 4 flyers on the event, and very quickly you will all get to know each other. 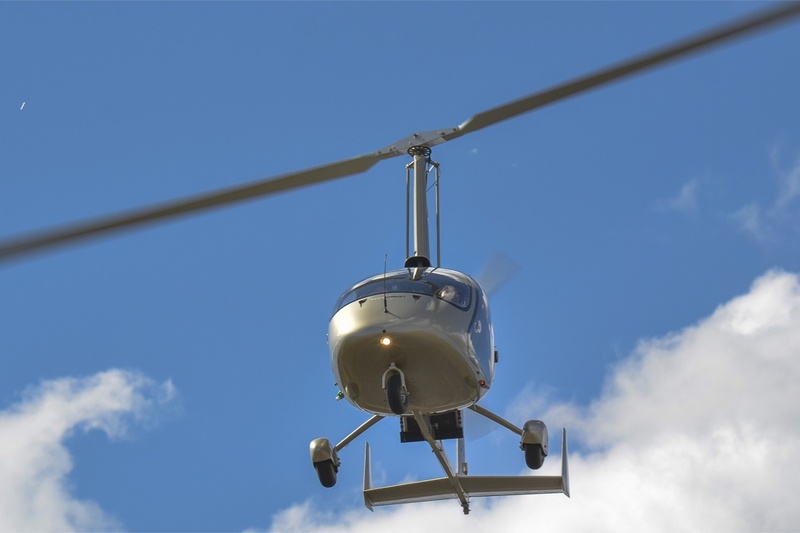 We will provide a safety briefing, an understanding of how a Gyrocopter works and then each person with a pre-booked flight will spend around 30 minutes flying around York, hands on the controls - or off the control, the choice is yours! Buy. This is ideally suited to people who already fly some other type of aircraft and who want to understand more about the unique characteristics of a Gyrocopter. This is a one to one experience which includes a more detailed understanding of the controls. It is generally more "hands on" than "hands off" the controls. The Extended Flight is also good for people who want to enjoy the view but want to fly further than the local area, perhaps you want to fly close to your house! Come on down! The flight lasts about about an hour. Buy. There is enough time to fly to Scarborough and fly along the coast...simply wonderful. Perhaps you want to fly over the moors and over the reservoirs thinking that you are one of the dambuster pilot's...we are never to old to playact! Whatever you want to do, I am sure that you will never forget the York Gyrocopter Ultimate flight. Buy. 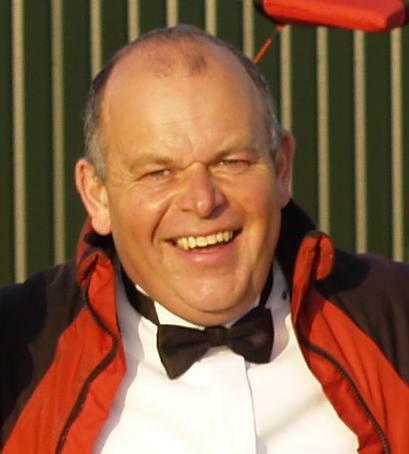 Phil is the chap who features in the video "Top Gear for Gyroplanes". He is a Senior Gyrocopter Examiner. 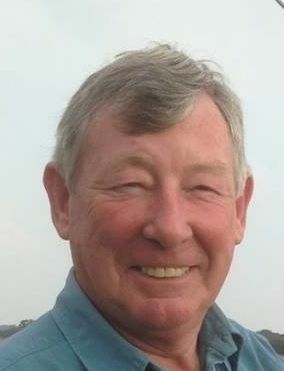 He has experienced many different forms of flying over the years, learning first to fly gliders, then fixed wing aircraft and helicopters before taking up gyro flying. As far as Phil is concerned gyros are definitely best of the lot! He has flown more than 5500 hours in both open-cockpit and enclosed cockpit gyros. Phil is passionate about standardisation of training and has written a number of books on gyro training. Much of his time is now spent teaching new Gyrocopter Instructors and consulting on Gyrocopter training and regulation around the world. Kati is Event Coordinator for The Gyrocopter Experience in York and runs things on the ground. 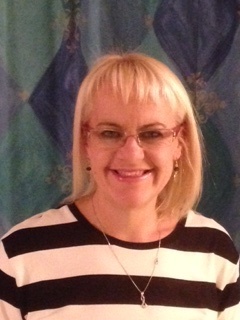 If you want to make a booking or ask a question, then please do give Kati a ring and she will do her best to help. Kati is also a qualified pilot and in early July 2008 was proud to become the 3rd girl to qualify for a PPL(G) in the UK. Kati loves gyro flying and is delighted to now be able to fly one for herself, her gyrocopter grin is never far from her face! Trevor is a Gyrocopter Instructor. He is a product of the Gyrocopter Experience York; having learnt to fly gyros here. All his flying has been on gyrocopters (they are way too much fun for him to fly anything else). Before taking up flying he has, throughout his career, been involved with training and enjoys helping others develop their skills. Trevor lives locally and has a great love & knowledge for North Yorkshire - which we'll be flying over. He hopes to impart that same enthusiasm to you and there is no better way to see it! Pauli is a Gyrocopter Instructor who had over 1300 hours of instructing in helicopters before he discovered the joy of Gyrocopters. 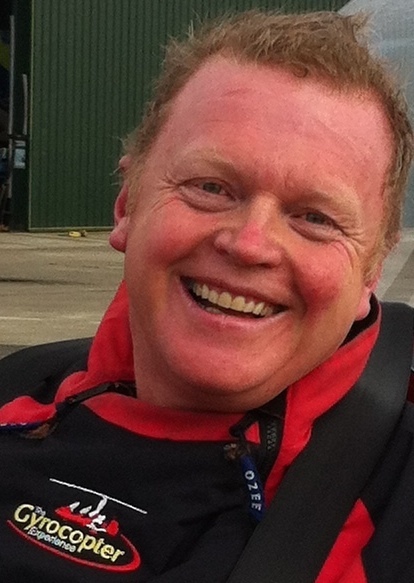 He is now a Gyrocopter Instructor working, delightedly, alongside Phil Harwood, at Rufforth Airfield, York. 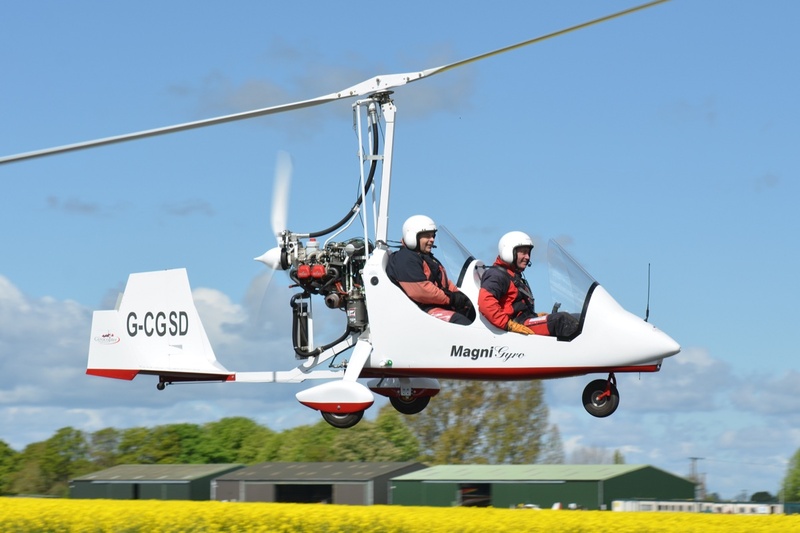 Pauli is the proud owner of a top-of-the-range Magni M24 Gyroplane (G-GTFB) and, as he puts it, "hugely enjoys the privilege of seeing someone else evolve their skill in the other seat."